Lee Chandler lives a life of self-imposed exile but that's not how he's always been. For many years prior, he lived in the small town of Manchester-By-The-Sea where the rest of his family and his fiancé all live. It's a picturesque fishing town and the pace of life is slower than any city could offer and the Chandler's all live good lives. Now, Lee lives in Boston and works as a janitor and his strict day to day routine has been brought about to limit the amount of people he see and has to deal with. When Lee's brother, Joe, dies Lee is made the guardian of Patrick, Joe's teenage son. The news comes as a surprise to both men. Patrick is dealing with the loss of his family and now is forced to live with his uncle who's distanced himself from the family years prior. Patrick doesn't understand his uncle's reluctance to relocate and move back to the small neighbourhood he used to call home. As hard choices are made and old acquaintances become part of the present day picture, Lee must not only do what is best for himself but also consider his nephew and the wishes of his brother. 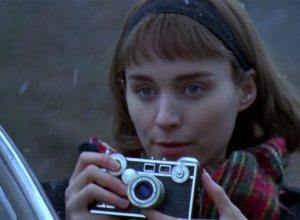 As in his gorgeous film Far From Heaven and TV series Mildred Pierce, filmmaker Todd Haynes tells a simple story with visual impact and thematic resonance. All three of these projects centre on characters who feel like outsiders in their societies, offering staggeringly complex roles for Julianne Moore, Kate Winslet and now Cate Blanchett. This one is also based on a Patricia Highsmith novel (published originally as The Price of Salt), so it has an added layer of underlying intensity. 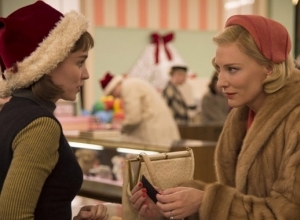 The story is set in the run-up to Christmas 1952, as New York department store clerk Therese (Rooney Mara) becomes intrigued by Carol (Blanchett), a glamorous customer who seems unusually attentive. 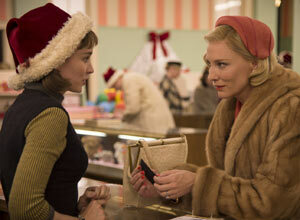 Therese finds a reason to contact her, and the two become friends despite the difference in age and class. 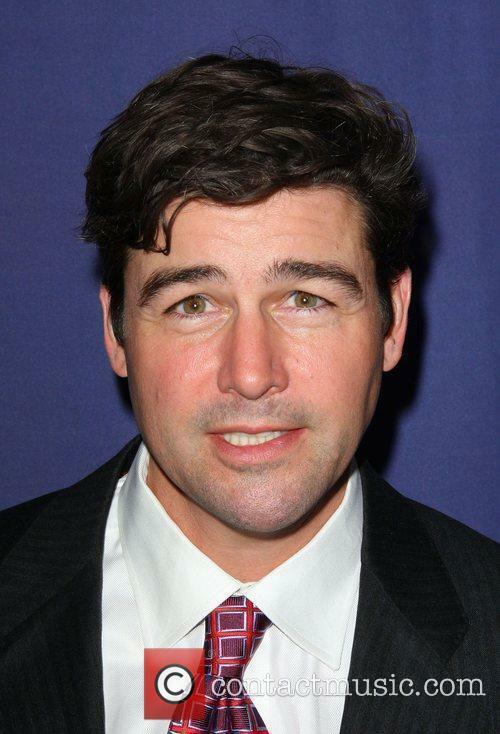 Meanwhile, Carol is trying to extricate herself from her marriage to Harge (Kyle Chandler), who is still feeling wounded by Carol's relationship with another woman (Sarah Paulson) and threatens to use her friendship with Therese to deny custody of their young daughter. And Therese also has a nice-guy suitor in Richard (Jake Lacy), who is becoming increasingly suspicious. 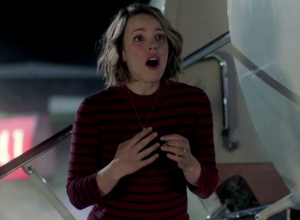 With all of this pressure on them, Carol and Therese make an impulsive decision to take a road trip together. The events unfold with delicate precision, as Phyllis Nagy's script smartly allows these woman to circle around each other trying to work out how they feel. 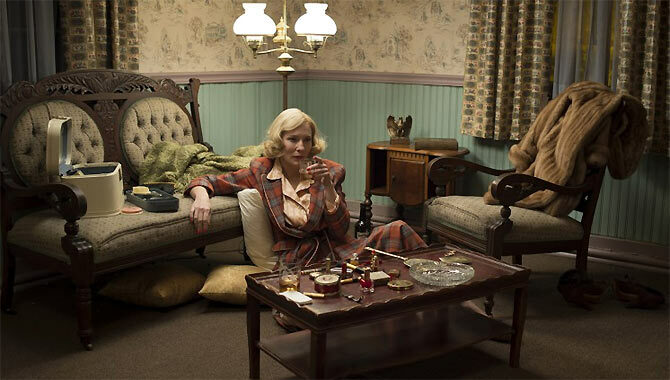 There's a gun-in-the-suitcase element that adds a bit of spark, but the real story here plays out between the lines in exquisite performances from Blanchett and Mara, who convey most of their feelings through offhanded glances and subtle gestures. This adds beautifully to the depiction of the period's repressive attitudes without ever being obvious about it, and it also reveals the deep emotions that come with feeling like you don't fit in with what society expects of you. Following the tragic events of the twin towers bombing on September 11th 2001 in New York City, Islamic extremist group Al Qaeda's leader Osama Bin Laden was the most wanted man in the entire world. He had managed to evade capture and certain execution for nearly ten years when, in the year of the 10th anniversary of the tragedy, he was found by the extraordinary Navy SEAL Team 6 and shot dead at his residence in Abbottabad, Pakistan on May 2nd. The event, however tarnished with conspiracy theories and speculation, marked a moment in history and was seen as a giant step in the current war on terror. 'Zero Dark Thirty' is the gritty historical drama telling the story of when Bin Laden was successfully captured and assassinated by a remarkable group of CIA operatives whose covert operations and well-kept secrets gave America their biggest victory in many years. With director Kathryn Bigelow ('Point Break', 'Strange Days') and writer Mark Boal ('In the Valley of Elah') who have previously worked alongside one another on the six time Academy Award winning war flick 'The Hurt Locker', it is set to be a seminal movie that may itself become an important part of history. 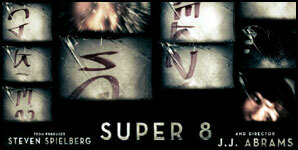 It is set to be released on January 25th 2013. Starring: Jessica Chastain, Scott Adkins, Jason Clarke, Joel Edgerton, Chris Pratt, Jennifer Ehle, Mark Strong, Taylor Kinney, James Gandolfini, Mark Duplass, Harold Perrineau, Jennifer Ehle, Kyle Chandler, Frank Grillo, Stephen Dillane & Edgar Ramirez. 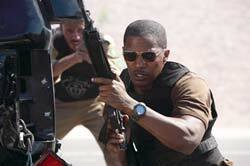 Zero Dark Thirty, A Critic's Paradise, Tipped For The Oscars. Kathryn Bigelow is no stranger to success. Her 2008 Iraq war movie The Hurt Locker was the recipient of a plethora of awards, including the an enormous six Oscars, and six Baftas, winning Best Picture in both awards. Once again she's bringing American military disputes into the spotlight with Zero Dark Thirty which spans the ten years that it took to find Osama Bin Laden, and the arduous process it took to do so. 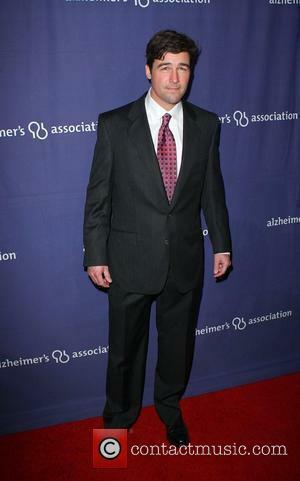 It stars Jessica Chastain (The Help), Chris Pratt (Parks and Recreation) and Kyle Chandler (Friday Night Lights). 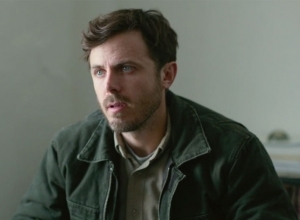 Reviews so far have been enormously positive, and have largely compared it to another Middle Eastern combative movie that's also tipped to be a contender in the Oscar race- Ben Affleck's Argo. Although by comparison, most people have said that it's better. 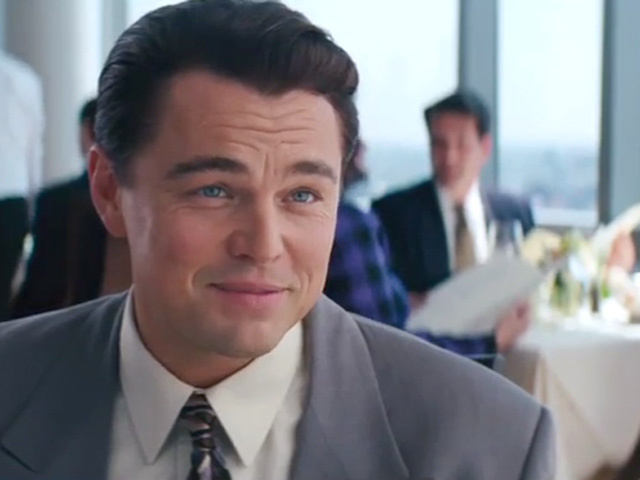 Time Magazine even said that it "blows [Argo] out of the water". Bigelow's The Hurt Locker also got glowing reviews from critics, but was criticised by war veterans who considered it to be unrealistic to the point of absurdity, although acknowledging it to be one of the best films to date to represent the conflict in Iraq. Zero Dark Hour contrasts The Hurt Locker in sheer scale, which spans half the planet. But it's the subject matter itself plus the professionalism and dedication by the film makers which will push this film into the realms of the movie-Gods. With such poignancy in contemporary American history, it's definitely one to receive awards out of respect for the delicate topic, but the quality of the film making will undoubtedly give it a few more. Zero Dark Thirty will be released on December 19th. The new trailer for Osama bin Laden takedown movie Zero Dark Thirty, directed by Kathryn Bigelow came out yesterday (October, 11 2012). The movie, from Hurt Locker creator Kathryn Bigelow, follows the decade-long hunt for the Al Qaeda chief, which culminated in the death of the supposed mastermind of 9/11. This dramatic trailer shows the C.I.A plotting leading up to the events, as well as the lead female character, Jessica Chastain, who takes the central role alongside Joel Edgerton, Chris Pratt and Kyle Chandler in the tense drama. Sopranos lead James Gandolfini is the former CIA chief Leon Panetta and Mark Strong is a CIA official who voices the agency’s frustration at not finding the man behind the terrorist attacks in New York. 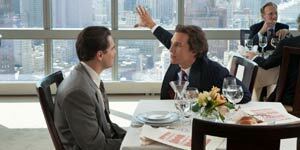 The film is set for a December release in the U.S, hitting cinemas on the 19th of that month, whilst UK film fans will have to wait until a month after Christmas, as it doesn’t cross the pond until January 26, 2013. Bigelow won Best Achievement in Directing and Motion Picture for The Hurt Locker, beating out film giant, and ex-husband, James Cameron in the process, whose fantasy epic Avatar was expected to clean up at the awards. Her latest offering won’t be out in time to be recognised by the next Academy Awards, but you can expect her to be in the running come 2014. When the Iranian Revolution protests began to take place in 1979, their main target was the US embassy in Tehran. It didn't take long for an army of militant Islamic extremists to infiltrate the building and seize 52 American citizens as hostages with only six victims managing to escape and take refuge inside the Canadian ambassador's home. It is decided that the six escapees must be found and smuggled out of Tehran before they are killed. Tony Mendez is a CIA officer specialising in covert government operations who is enlisted by the government to conceive a plan of exfiltration. His plan involves him and his team travelling to Iran under the guise of a film crew preparing to shoot a pretend movie called 'Argo'. However, as is expected, not everyone is confident in this less than risk free operation. 'Argo' is loosely based on a true story depicted in the real Tony Mendez' account of the events that took place during the hostage crisis as well as an article written in Wired in 2007 called 'How the CIA Used a Fake Sci-Fi Flick to Rescue Americans from Tehran' by Joshuah Bearman. It has been directed and starred in by Ben Affleck ('Good Will Hunting', 'Pearl Harbor') and written by Chris Terrio ('Heights') and will be released in US theaters on October 12th 2012. Starring: Ben Affleck, Bryan Cranston, Alan Arkin, John Goodman, Victor Garber, Tate Donovan, Scoot McNairy, Rory Cochrane, Christopher Denham, Kerry Bishe, Kyle Chandler, Chris Messina, Zeljko Ivanek & Titus Welliver. JJ Abrams and Steven Spielberg team up for this enjoyable alien thriller, which feels exactly how we nostalgically remember Spielberg's late-70s movies. But it's not nearly as earthy or thrilling as they actually were. In 1979 Ohio, Joe (Courtney) is struggling with the fact that his mother has died in an accident. But it's summertime, so he and his pal Charles (Griffiths) decide to make a zombie movie with their friends (Lee, Basso and Mills). Enlisting the help of their hot schoolmate Alice (Fanning), they are shooting a scene when they witness a train crash and some suspicious ensuing military mayhem. Suddenly the town is under the control of a harsh general (Emmerich), while Joe and his friends know a lot more than he thinks. Joe and his father, the deputy sheriff, live in the small town of Lillian, Ohio; the year is 1979 and like most kids their age, Joe and his friends have always been obsessed with the silver screen. When his friend Charlie asks him to help out on a film he's making with his friends, he willingly accepts. Joe's father wishes his son would take his head out of the clouds and focus on something more productive. After Peter Jackson's Lord of the Rings trilogy earned a zillion dollars, a slew of Oscars, and a place at the tip top of the Hollywood pyramid, Jackson was able to write his own ticket. As his follow-up project, Jackson chose to remake King Kong, which had industry observers scratching their heads. Historically, sequels and remakes of the original Kong range from bad to unwatchable, and while Jackson certainly knows effects and storytelling, Kong remakes seem to be cursed endeavors. Voodoo or no, they're probably ill-advised. 1933's Kong is one of those movie archetypes that really shouldn't be messed with. Like Citizen Kane or Metropolis (another film that has suffered from attempts at updating it), King Kong simply isn't meant to be trifled with. Alas, some will try.